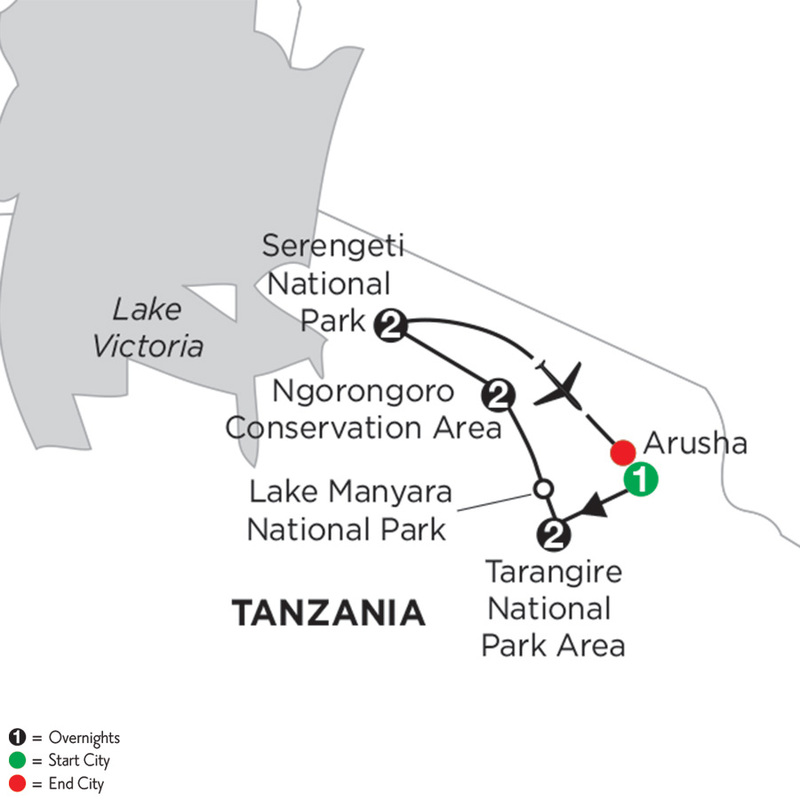 Situated in the shadows of Mount Meru and Mount Kilimanjaro on the eastern edge of the Great Rift Valley, Arusha is the safari capital of Tanzania and one of the country's most prosperous international towns. 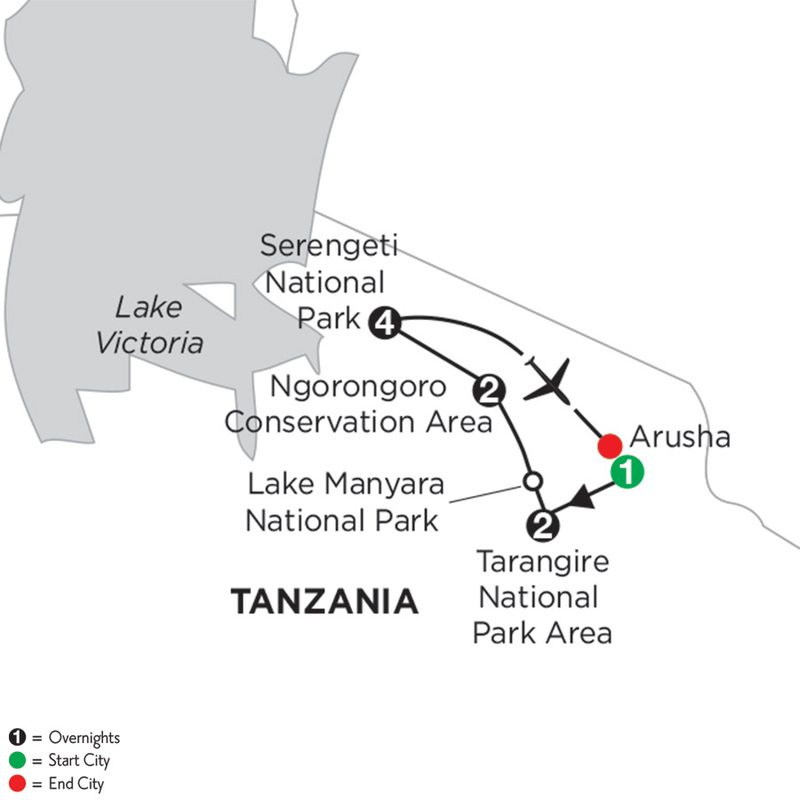 Its wonderful central location makes it a starting point and hub for visitors preparing to explore the Serengeti, Ngorongoro Crater, Lake Manyara, Olduvai Gorge, Tarangire and Arusha National Parks, and Mount Kilimanjaro. Despite its proximity to the equator, Arusha's elevation of 4,593 feet keeps temperatures and humidity relatively low.